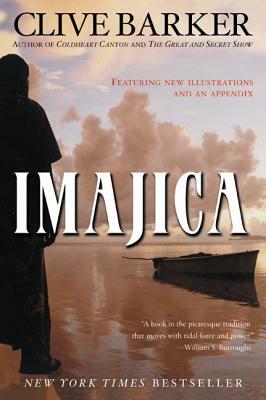 Imajica is an epic beyond compare: vast in conception, obsessively detailed in execution, and apocalyptic in its resolution. At its heart lies the sensualist and master art forger, Gentle, whose life unravels when he encounters Judith Odell, whose power to influence the destinies of men is vaster than she knows, and Pie 'oh' pah, an alien assassin who comes from a hidden dimension. That dimension is one of five in the great system called Imajica. They are worlds that are utterly unlike our own, but are ruled, peopled, and haunted by species whose lives are intricately connected with ours. As Gentle, Judith, and Pie 'oh' pah travel the Imajica, they uncover a trail of crimes and intimate betrayals, leading them to a revelation so startling that it changes reality forever.